You guys need to help me fight my hoarding ways. Please?? 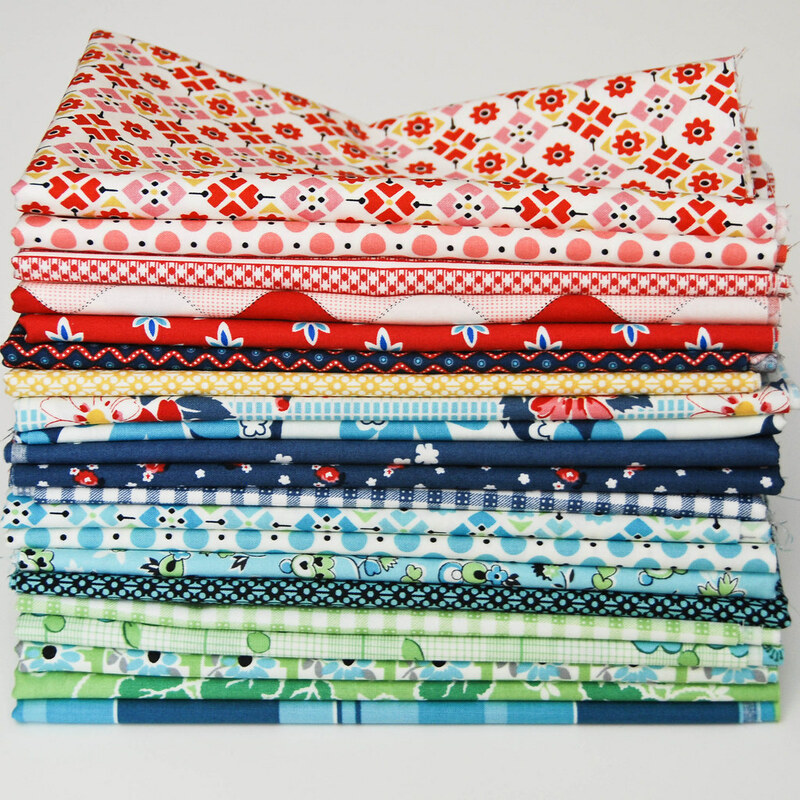 As you may or may not know, Denyse Schmidt released a new fabric collection for Joann Fabric today-ish. It's very her and very cute! I bought some. Well, I bought a lot. And I listed some bundles on Etsy for people who don't have it locally. The price is discounted from the $10/yard retail since I had some coupons. Back to the problem. People have already made cute things with it. But when I see those things I think "But if you use it already then you won't have more to use later. Maybe I should buy more so that I can use some now and have more later." How flawed is that logic?? I should buy it and use it and when it's gone that's ok because there will be something else. See? I know how I should think, but this logical side of me loses to the illogical hoarding side. I think most of you know about my stash issue. Help. Please. How can I use my stash and feel ok with it. I don't want to end up on Hoarders! First off, I'm so bummed that my joann's seems to be the only one carrying it. Your logic is exactly what the fabric companies want! Here's how I've been *trying* to think of it. I use what I like now because I like it and don't worry about later. There will be another line shortly that I'll be obsessed with. If I put too much importance on a line, it makes it hard to use (aka - my Neptune stash that I hate to cut!). I totally know what you mean - I love my stash, it's so pretty to look at!!! I have a hard time sewing from it, too. But lately, I've been on a super strict fabric diet, buying only fabric that I am going to use immediately, and swapping a lot through Flickr. I think Becky's absolutely right - Market's right around the corner, there will be plenty of other lines to obsess about really, really soon, so just use it! O my heck - I'm the same way ""But if you use it already then you won't have more to use later. Maybe I should buy more so that I can use some now and have more later." 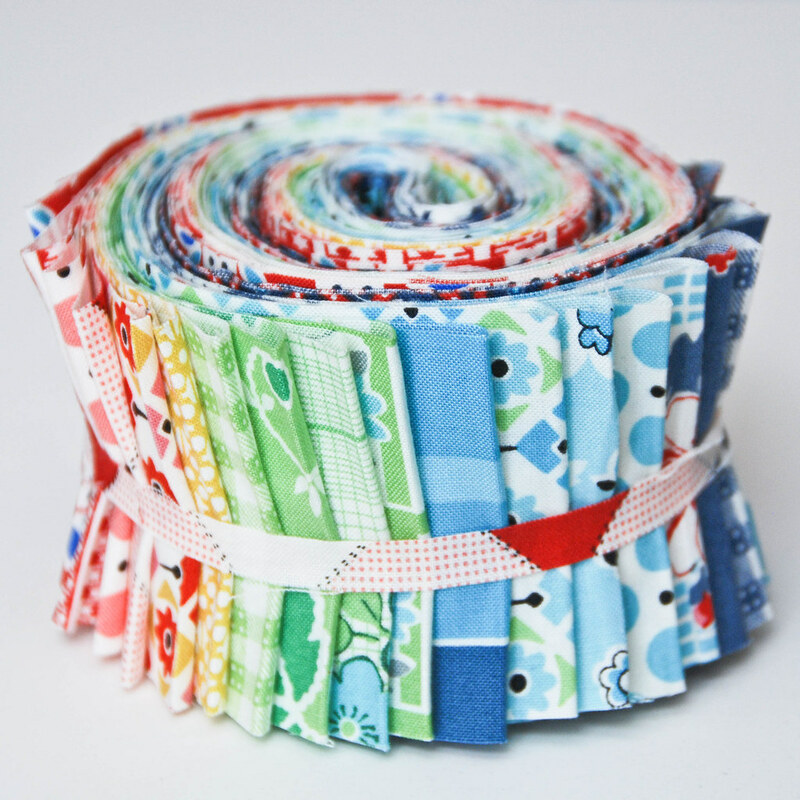 I've only been quilting for 9 months and I agree, I don't want to be a hoarder! I think we all have the same problem (or most of us, anyway). I think using SOME of each piece of fabric in a project, while still having SOME to play with on other things is a good compromise. I agree with Tiffany, in that if you see tiny bits of your favorites in multiple projects, that means multiple times you get to handle the fabrics, in preparation and use! Wow, it's gone from Etsy already. I guess I'm going to have to run out to my JoAnn's to check it! Poor me. As far as stash goes, mine is simply embarrassing. But, I admit I love it!! I love being able to go through and see all the lovely patterns and colors. I could probably open a small shop by now. I havent seen this yet down here. I sure hope I can get some. I haven't gotten my hands on this yet - I just want some dots! I will go again tomorrow & maybe Friday to see if my Joanns has it (and they should, it's one of the huge stores). I'm am exactly like you. And I have a hard time cutting into my favorite stuff because I worry that the project I make won't turn out perfect. (I've made entire quilts that I didn't end up liking - more than a few times). When I really look at my stash - I have more than enough. And I do feel better if I'm using something from my stash - anything. I also have learned not to buy or use fabrics that I absolutely do not love. I'm glad they don't usually make limited edition yarn. I would have the same problem!